An arbitration panel has awarded a former Credit Suisse Securities broker in New York City $975,531 in deferred pay that he claimed the Swiss bank illegally withheld from him. The November 6 award to Nicholas Brine Finn, now a broker at UBS Financial Services, is the second in a month resolving one of a slew of claims from financial advisors who left Credit Suisse after it announced in the fall of 2015 that it was shuttering its U.S. retail brokerage operations. The bank had encouraged brokers to move to Wells Fargo Advisors, but many went to other firms and brought arbitration claims when their former employer declined to release their unvested awards. The award to Finn, based on the value of his deferred Credit Suisse shares as of his departure date to UBS in November 2015, represents “all of the compensatory damages related to his compensation,” according to Barry Lax, one of his lawyers. Finn had requested compensatory damages ranging from the $975,531 he was awarded to $1.1 million, as well as $2.45 million to $2.71 million in attorneys’ fees, interest and so-called liquidated damages under New York State employment law, according to the award document posted on a Finra dispute resolution website. “We note that the arbitration panel in this case largely rejected the claimant’s meritless monetary claims,” Credit Suisse spokeswoman Karina Byrne wrote in an e-mail that also alluded to the practice by some firms of compensating experienced brokers for bonuses that were left behind. The arbitrators did not explain their decision, but Lax said it likely turned on his argument that the bank’s U5 filing was erroneous in describing Finn’s termination as “voluntary,” since brokers were essentially forced to leave after its decision to close the business was announced. 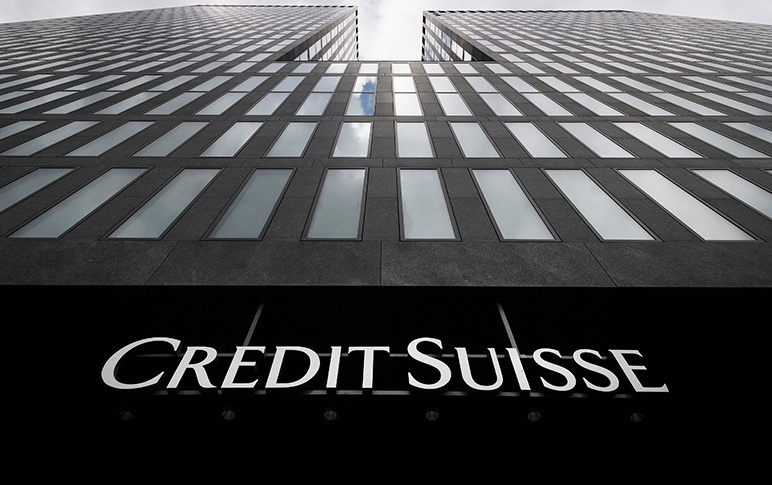 Under terms of Credit Suisse’s award agreements with its brokers, deferred compensation automatically vests if a broker is fired without cause, he said. Lax made the same argument in an arbitration case decided last month that awarded a former Credit Suisse broker in Boston almost $845,000. The arbitrators in the Finn case denied Credit Suisse’s counterclaim for unstated damages and other relief as a result of the broker’s alleged breaches of contract and fiduciary duty, and of his “misappropriation of trade secrets.” The three-person panel in New York City also assessed Credit Suisse for all $27,300 of its fees for 21 hearing sessions and pre-hearing conferences. Credit Suisse in December 2017 filed an arbitration claim of “raiding” against UBS, which hired close to one-third of its 336 U.S.-based brokers. The case is ongoing. CS starting to feel the heat. Word is Zurich is unhappy with this losing trend. The SRU is already losing billions and these FINRA losses don’t help matters. Why would anyone abandon their claims? CS has lost every single claim that actually went to FINRA thus far. They botched the closure and now they are botching these cases at FINRA. This spokeswoman can say what she believes, but apparently arbitrators disagree! This is terrific (shold be more of an award)- people need to hold CS accountable for what they did to a pretty great bunch of professionals. Noone is driving the bus at CS in the US these days, except outside lawyers who are billing a ton! The Credit Suisse spokesperson is as daft as whoever at CS keeps ok’ing the legal bills for all of this—how can the claims be meritless if two separate panels have found in favor of the former brokers making the claims?